What Makes an Engaging Survey? It seems we are busier than ever. Between work, family and rounds of Bejeweled Blitz there just aren’t enough hours in the day. If you conduct any type of customer feedback survey, it can be hard to break through. But a well-crafted, engaging survey is still one of the most effective ways to capture your participants’ attention. So what makes an engaging survey? This may seem like an obvious point, but it’s important to know what you hope to learn from your survey. Whether you need to know if your customers or employees are satisfied, or are soliciting consumer responses to a new product, you must have a focused goal before you design your survey. Keep it short and concise. The easiest way to make sure that your participants ignore your invitations or drop out early is to launch a long, meandering survey. Use Advanced Branching to route your participants around irrelevant questions, and make sure your questions are focused and concise. Take advantage of known information. Pre-Population allows you to fill in the survey with known information about your participants. This makes your survey more relevant, while shortening its length. Eliminating redundant questions is a sure way to increase participation rates. People are much more responsive to companies and organizations that they know and trust. Customize your invitations and surveys in order to brand your company — a survey invitation looks more inviting when it’s personalized, has your logo and comes from your URL. 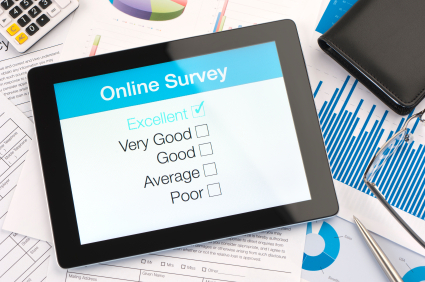 Your ability to create an engaging survey is determined by the tool you use. SoGoSurvey has a number of advanced features such as Advanced Branching, Rules & Alerts and Mobile Surveys that give you the ability to create and launch appealing surveys that will increase your response rates and provide you with high-quality data.